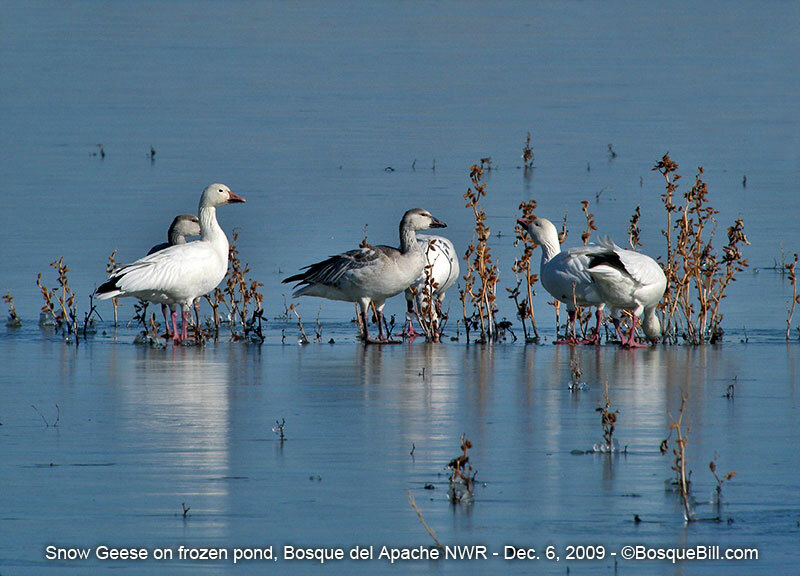 Snow Goose A small group on a frozen pond. Four adults and two juveniles. The action of the wind on these weeds kept a small pocket of the pond unfrozen. The geese were drinking from this clear water.